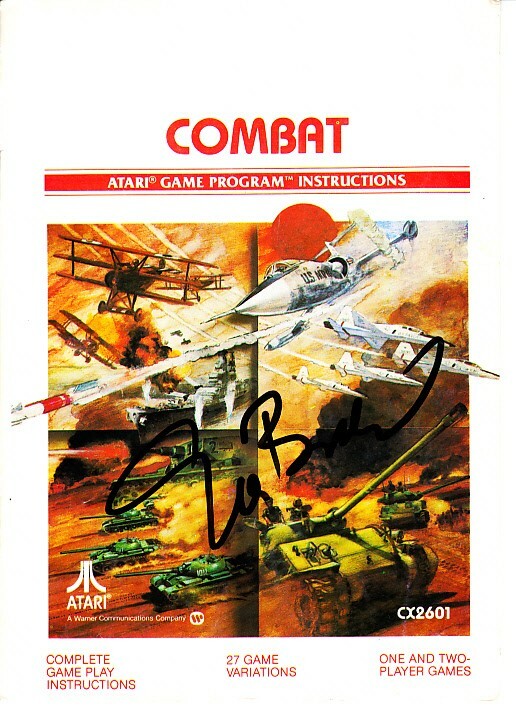 Original Atari 2600 Combat video game 5x7 inch instruction booklet (one of the 9 launch titles) autographed in black marker by legendary Atari founder Nolan Bushnell, widely considered to be the founding father of the video game industry. Obtained in person at 2014 Comic-Con appearance, with certificate of authenticity from AutographsForSale.com. HAS MODERATE FLAWS AND WEAR. GAME CARTRIDGE NOT INCLUDED. ONLY ONE AVAILABLE FOR SALE.